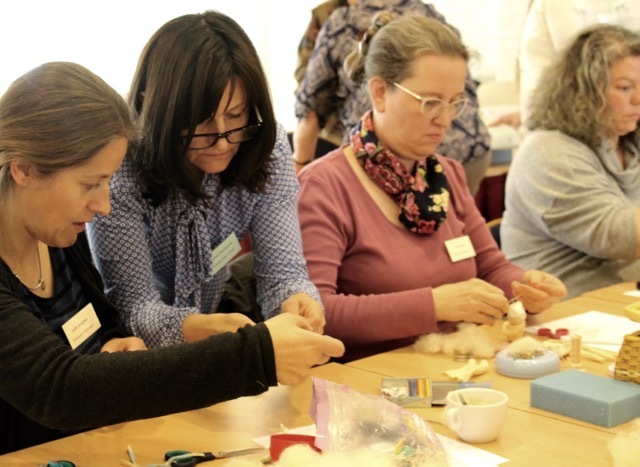 I am back from the Waldorf doll seminar. I came home last night at midnight, totally tired. Wow, what an experience! We were around 100 dollmakers from all over the world, including countries like South Africa and USA, and many European countries. 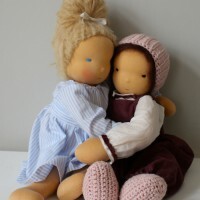 We became friends, we laughed and examined dolls, we learnt from each other, and, most of all: We got inspired! 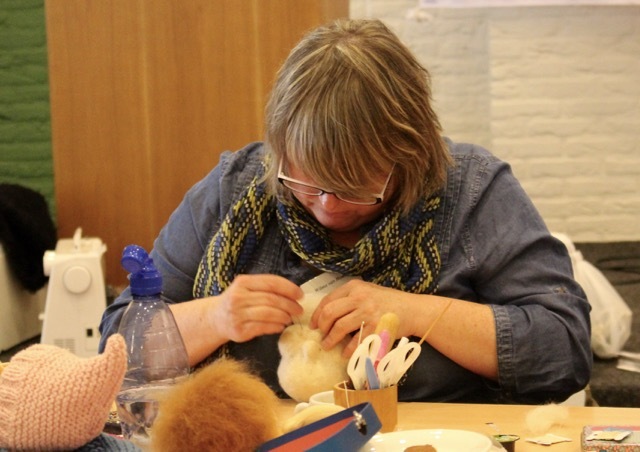 We experienced three wonderful days of creative collaboration while stitching, sewing, felting, crocheting, stuffing and embroidering, giggling, telling stories, eating, discussing doll issues, sitting together in the evenings and chatting until midnight. For me, the most fulfilling experience was to be together with so many colleagues and like-minded people. 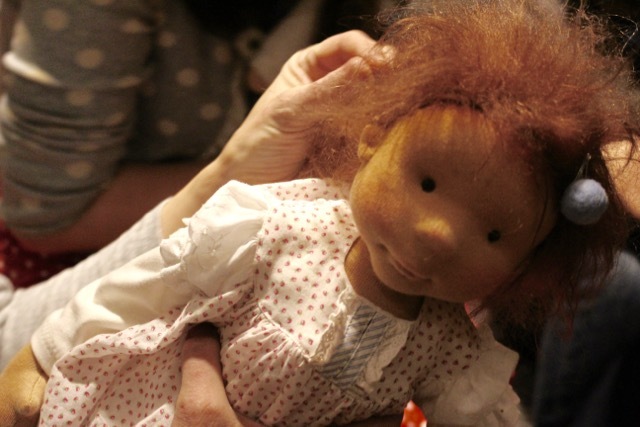 Even when we didn’t speak the language of the one sitting next to us, one thing unified us: The language of dolls. This language is beyond all rational knowledge, because it is the language of emotions. I attended one course where our tutor didn’t speak English. 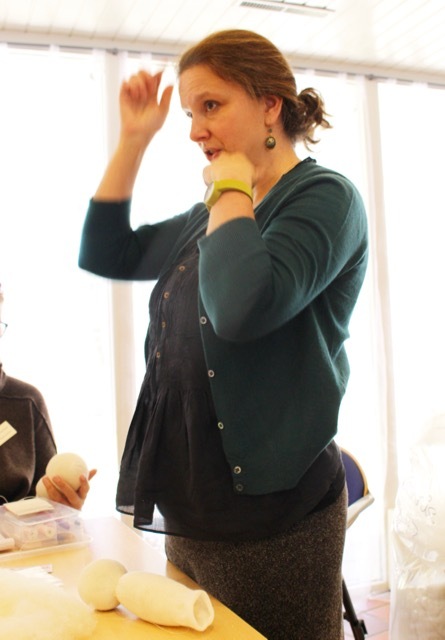 However, our wonderful teacher just showed us what to do; gestures and mimic did the rest. How beautiful is this! 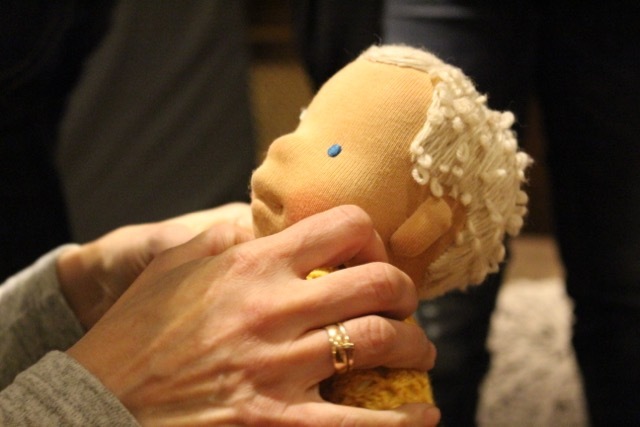 It was so funny to see how we dollmakers touch and examine the dolls of our colleagues, with gestures non-dollmakers would never use. 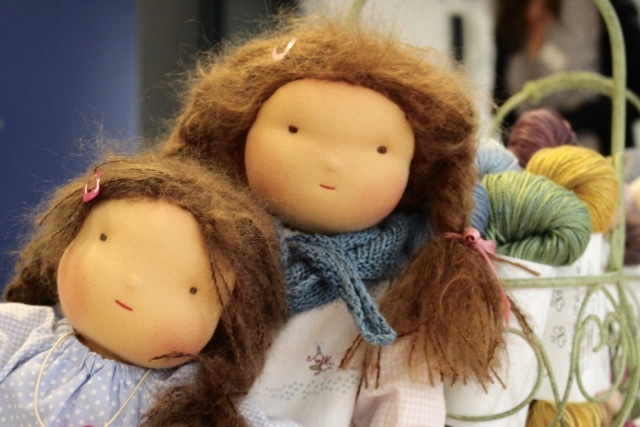 It was wonderful to realize that even if we came from different job backgrounds and countries, and whether we were professional or hobby dollmakers, we all felt united, because the dolls and our love of dollmaking unified us. We are all from the same planet: the doll planet! 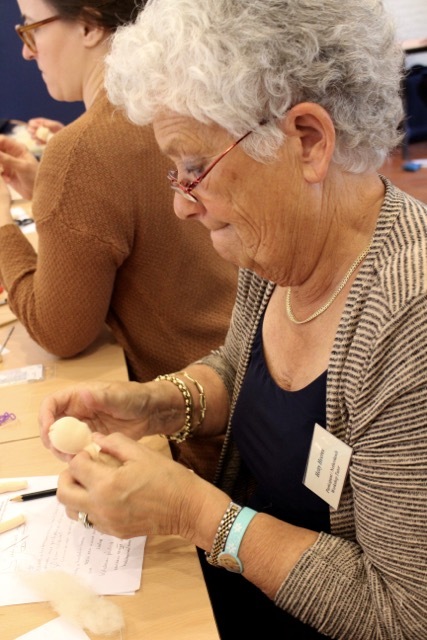 Thank you, Kamrin te Kronnie from Kamrin’s Poppenatelier, and Berend te Kronnie, for having organized this extraordinary event for all of us. Thanks for having created such a smooth, well-planned venue, and for taking care of the needs of us all. Only God (and Kamrin and Berend 🙂 ) know how much work it really was. I can only imagine, and I imagine it was A LOT. THANK YOU FOR THAT! And now I let the photos speak! More photos can be found on my flickr album (available tonight). Download from flickr for private use very welcome, download and use for doll websites and blogs welcome, too, if you make a reference to “Maike Coelle, feinslieb dolls” for the photos. Thank you! At the first evening, before the workshops, we came together spontaneously in the lobby, looking at dolls and discussing techniques. It felt like sitting around a campfire with lots of wise, creative women! One after another, we put our dolls on the table. 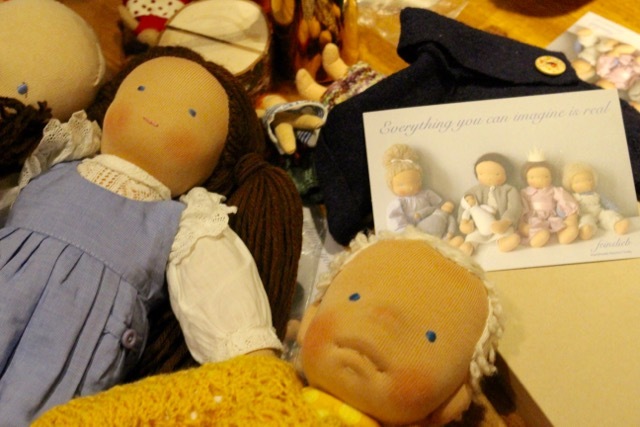 Every new doll made us crying “Ooooh!” and “Ahhh!”. We were sitting together in the most relaxed manner, passed around the dolls, looked at them thoroughly and discussed them. 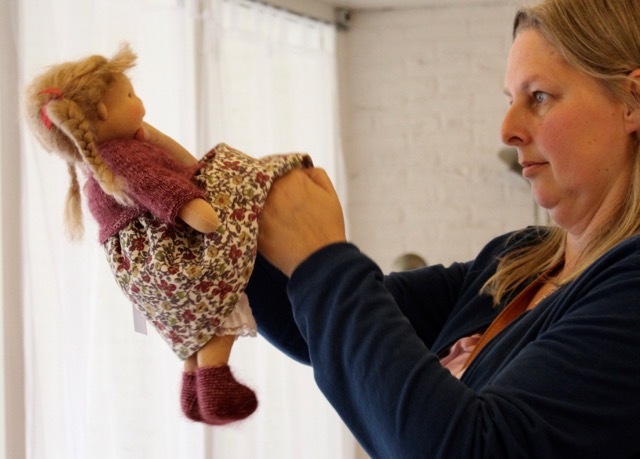 Looking admiringly at the gorgeous doll from Joanna (Lalidom). Beautiful doll boy from Agnieszka (Lalinda) with embroidered hair. 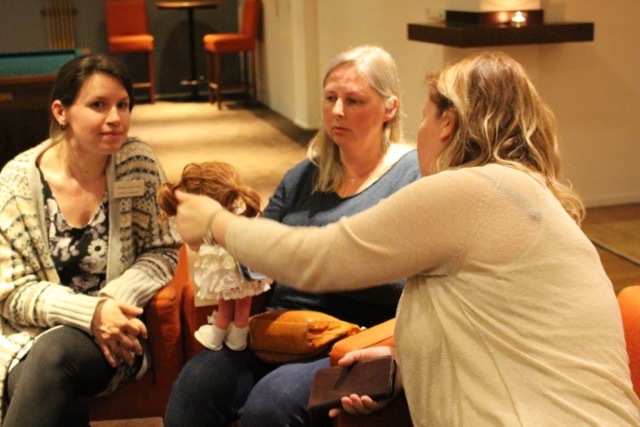 The most touching doll of the seminar for me: Sabine’s first doll which has been sooooooo loved! My Dorothy also got a little attention. 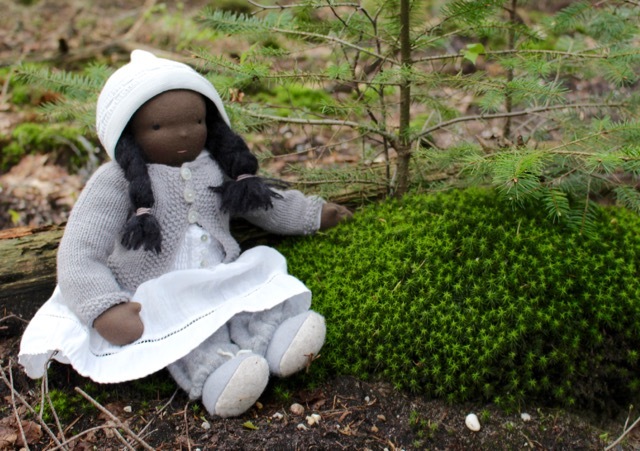 The most precious doll from Maria Asenova (Maria’s Nature Toys). The very first and one of the latest dolls from Agnieszka (Lalinda). 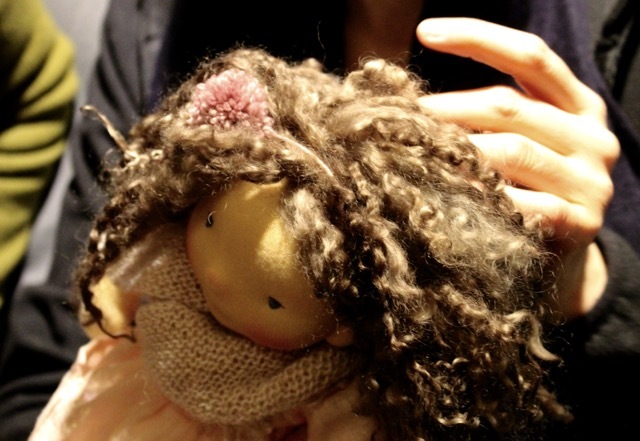 The gorgeous hair of this doll (crocheted from wefts) gets examined, too. Dorothy wanted some fresh air in the morning of day 1. 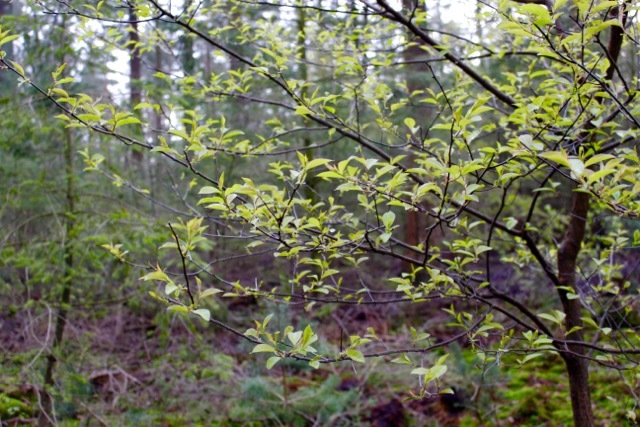 The forest just behind the hotel just awakens from winter sleep. 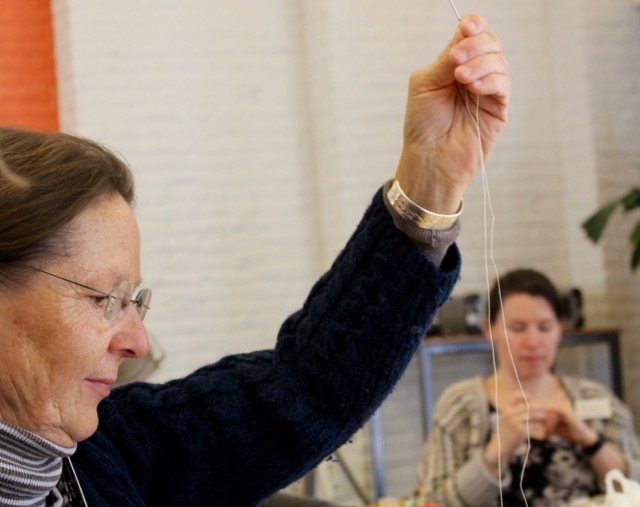 Embroidering baby hair with Agnieszka (Lalinda). Here: Trying the hair color and deciding on the hairline. 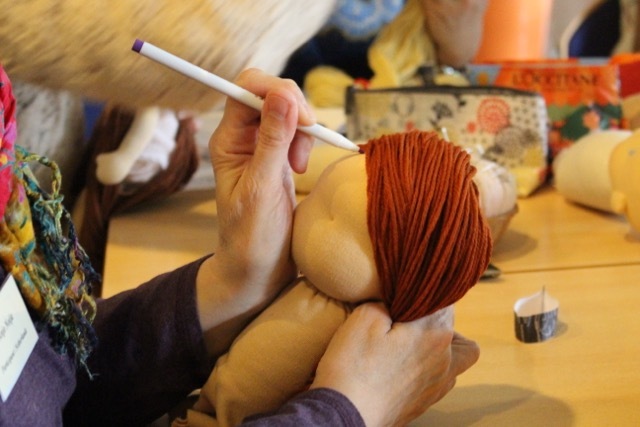 Embroidering hair wigs for babies: deciding upon the hairline. Facesculpting with Joanna Wesolowska from Lalidom (me and Joanna in the picture), thanks to Natasha from “Le coeur en poche” for taking the photo (or was it you, Sabine?)! Sewing wefts for crocheted weft wigs. The ladies worked sooo concentrated! Meaningful sayings at the walls of the hotel. Very important tools! 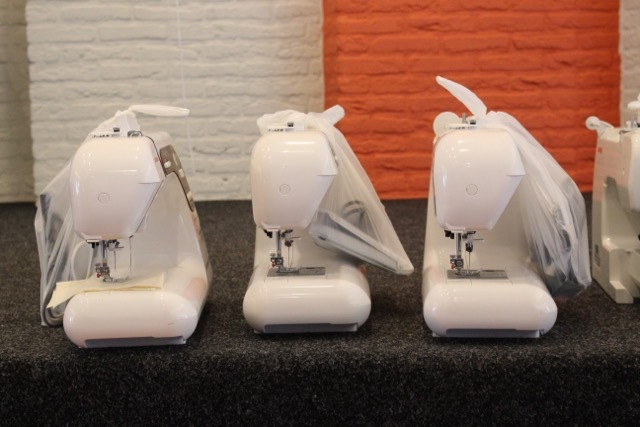 Thanks to sponsor Janome, there were enough sewing machines available. 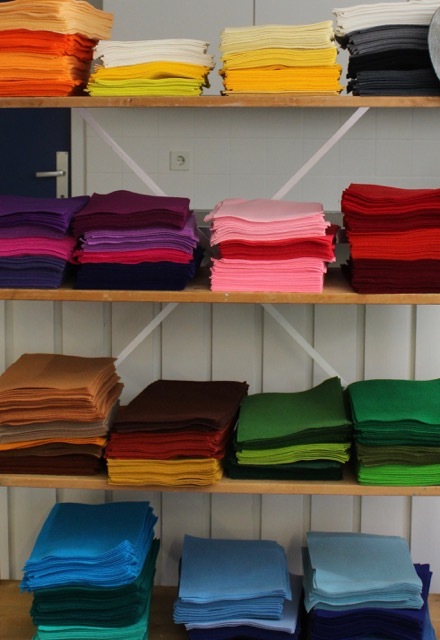 After lunch, the textile market opened. 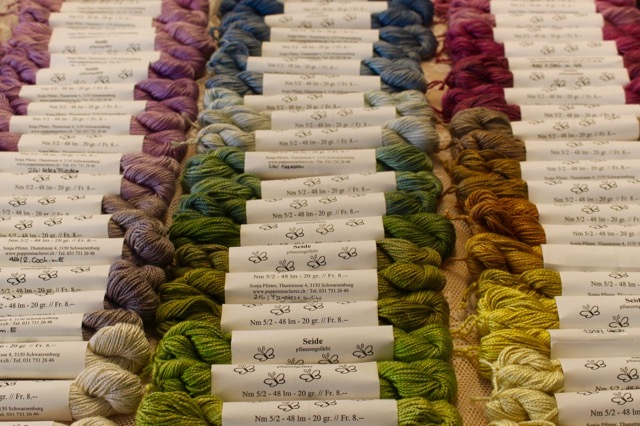 We all went to see the things which were for sale, for example the new Dolly Mo Organic yarn. 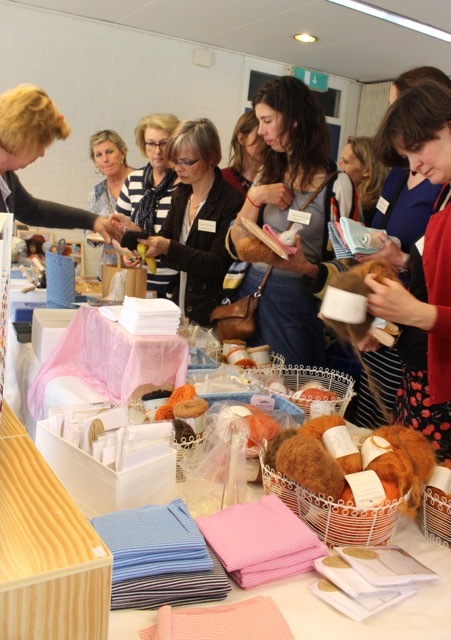 Everyone is interested in Kamrin’s products at the market. 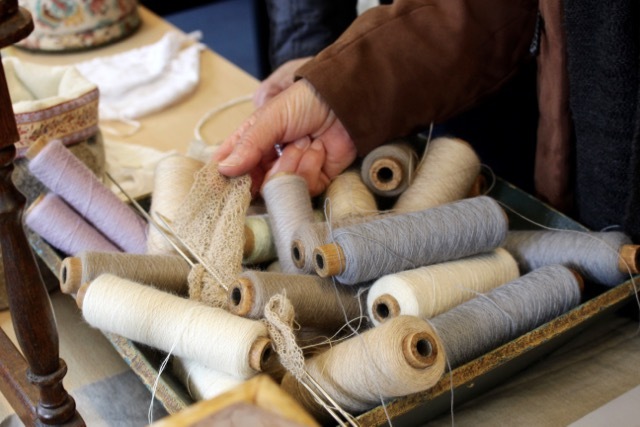 After the market, some of the participants came back to the working tables with the optimal tools, like triple felting needles or very long, strong doll needles. I was jealous, because I had not made it to the market in time, and all the great tools were sold. 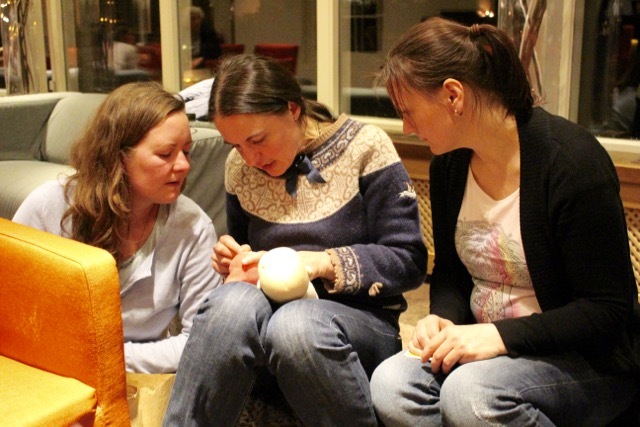 Thanks to Natasha from “Le coeur en poche”, I could use her felting instrument which was a great help. 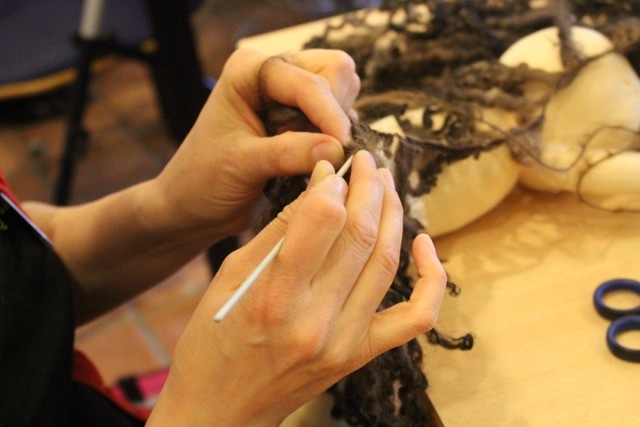 Crocheting wigs from wefts. Oh. My. God. 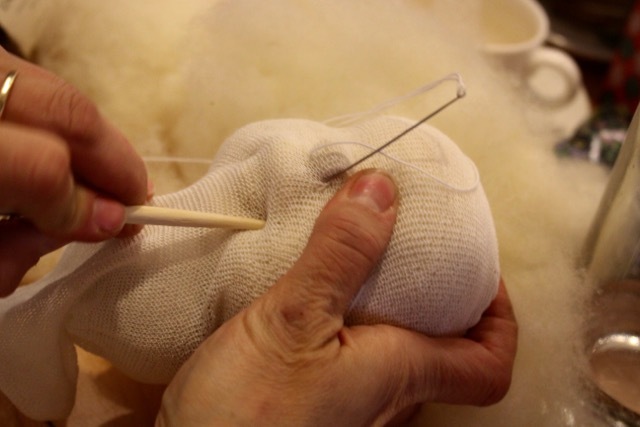 Concentrated work on a doll head. 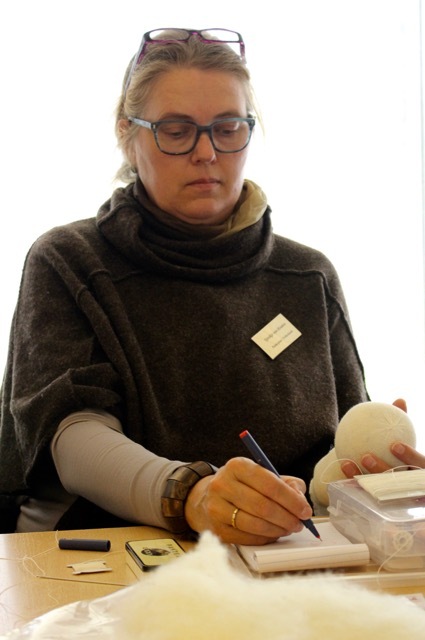 Making a doll head combining classical and modern techniques with Daria Gosset from Petit Gosset. Here, Daria illustrates the face proportions. Face sculpting requires BIG concentration! Facesculpting is tiring, but a lot of fun. 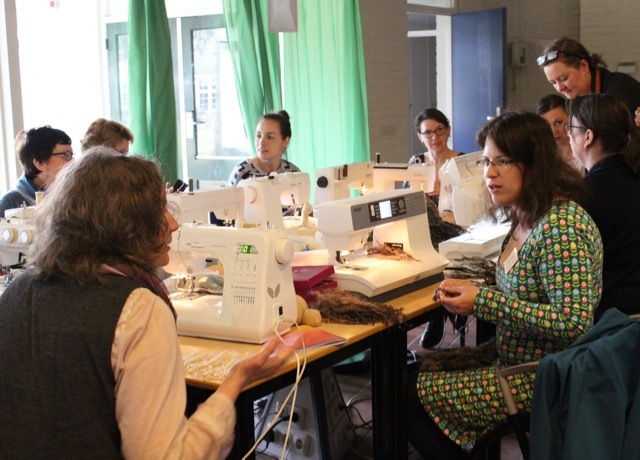 Many more workshops were offered than those mentioned in the photos. And every workshop was great and released happy participants. I learnt so much, so many little tricks and techniques. I also won even more security on the fact that all dolls have their beauty, be they simple or pronounced, classical Waldorf dolls or face-sculpted dolls. 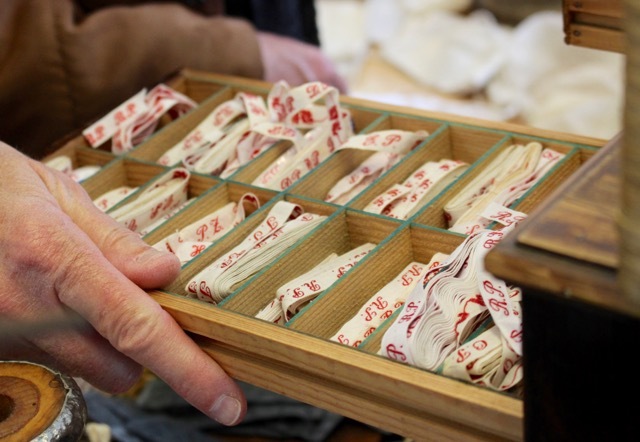 There are so many different patterns and styles in dollmaking, and they all have their right to exist. I also learnt that we are all one. 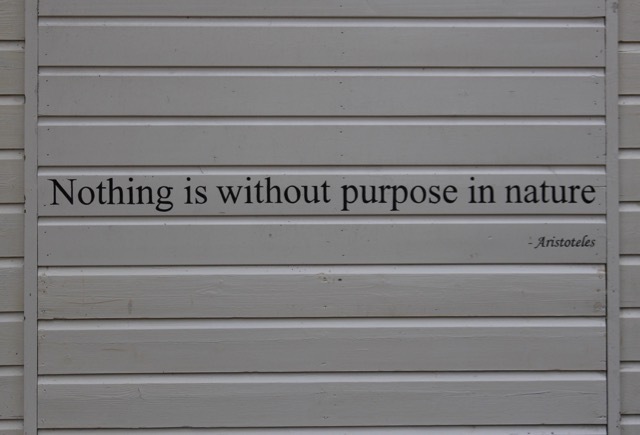 One with other makers, one with nature, and one with the children in ourselves. I heard some touching stories. 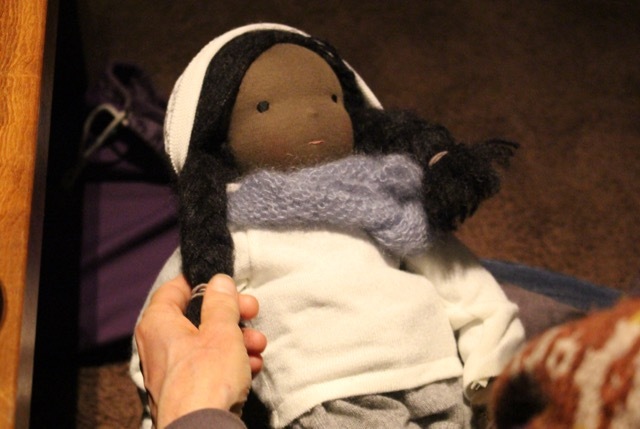 What I heard, deepened my feeling and perception that many dollmakers have a precious relationship to the little child within themselves, or to children in general. 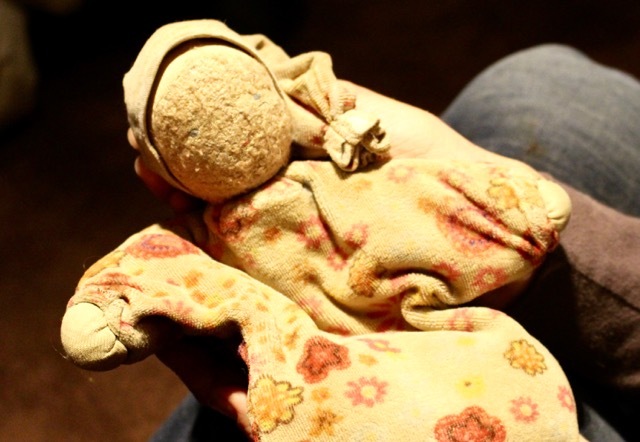 We didn’t talk about it so very detailed, but it became tangible that many of us had wished for children (if they didn’t have any), or more children (if they had children already), whatever the reasons might have been, and compensate this kind of “unfulfilled motherhood” with dollmaking. 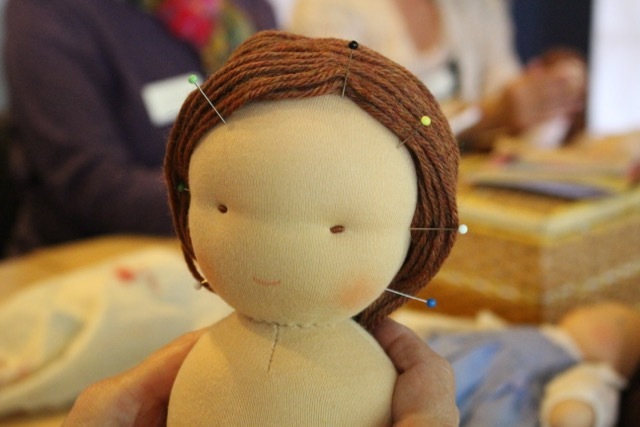 We agreed that dollmaking is wonderful for compensating emotional needs and for nourishing you inner child. 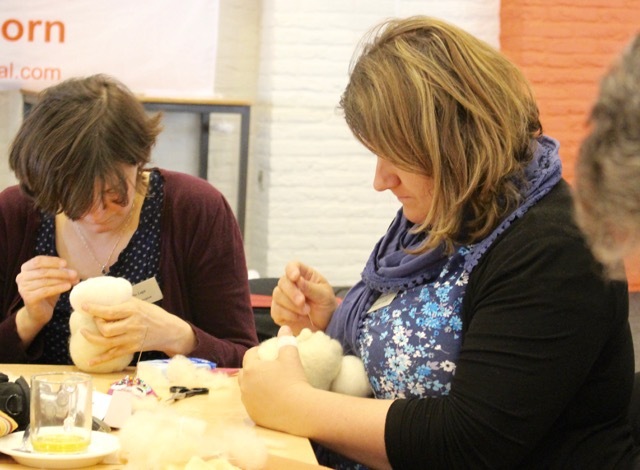 But besides this psychological aspect, we just found that dollmaking is one of the most fun and satisfying and thrilling experiences we have ever made (and continue to make)! Let the language of dolls win over conflicts and hate, over sadness and loss! Let’s celebrate our similarities more than our differences! Let’s live in peace and harmony, together with our fellow men and women, our children and dolls! 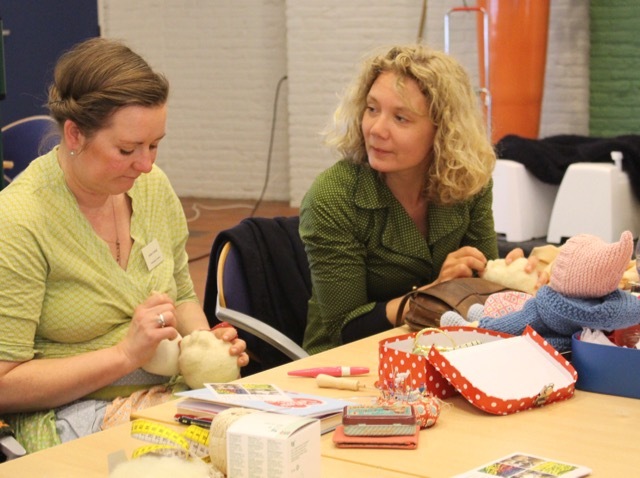 Here some links to dollmakers who attended the workshop, as a tutor or as a participant (please send me a message if I forgot you or if I should mention someone else – I just didn’t get to know all the doll labels/brands behind the faces! (all seminar participants, please help me to improve this list! – Just send me a message with names and links to maike@feinslieb.net ) THANK YOU!